iCollege is Georgia State University’s online learning environment, powered by Desire2Learn’s Brightspace. with your CampusID and password. iCollege is Georgia State University’s online Learning Management platform. The Center for Excellence in Teaching and Learning (CETL) offers a variety of integrated tools to enhance your online course and expand its impact on your students’ learning. Interested in an iCollege Integrated Tool? Meet with our Instructional support staff and see how integrations can impact your coursework and your students’ learning. Enhance your iCollege experience with integrated tools and content-sources. Kaltura – A secure, campus hosting service to upload and share media across platforms, and that integrate with iCollege. Includes computer-generated captioning. VoiceThread – A digital discussion tool more personable and engaging than a traditional threaded discussion. PlayPosit – Turn your course videos, or one of PlayPosit’s educational videos, into an interactive quiz and easily share it with students and colleagues. Panopto Lecture Capture – A video capture software that allows you to record video and PowerPoints during a lecture. Closed Captioning – Human and computer generated captioning via Kaltura and a partnership with Cielo24. StudyMate – An academic tool that can be used by students and faculty to create study materials and self assessments in the form of games and activities. Portfolium – Portfolium is an academic portfolio network that gives students and alumni the power to demonstrate his or her skills and education through an online resume. Respondus Quiz Importer – Respondus helps to quickly create and upload quizzes by converting formatted Word documents with test questions into iCollege compatible files. Respondus LockDown Browser and Monitor – Respondus LockDown browser creates a secure and controlled testing environment by limiting the actions students can preform while taking a quiz. LockDown Browser records a student’s test session using the computer's webcam. ProctorU – Provides a live proctored experience in a secure, online environment giving students an alternative to on-campus, proctored testing. 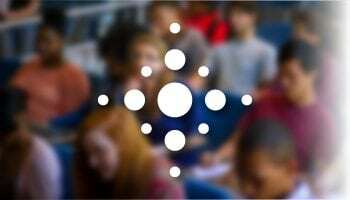 TurnItIn – TurnItIn automatically detects plagiarized text from assignments. It also includes GradeMark, an easy to use and versatile online grading tool. Text to Speech – A suite of text-reader tools enabled in each iCollege course at Georgia State. These tools read out HTML-created text in the course’s content, and can be used by students to read content outside of iCollege. WebEx – Online meeting platform that allows you to connect with colleagues and meet with students, from anywhere – on or off campus. Piazza – A unique Q&A platform that is part wiki and part discussion forum. As questions are asked, students collaborate to create a single best answer. iClicker – An interactive classroom response system allowing instructors and students to dynamically interact through questions and answers in real-time. Top Hat – A student engagement platform that uses students' mobile devices to answer questions, take polls, and more. Films on Demand – A collection of 7,000 video titles in Humanities & Social Sciences, Business & Economics, Health, and Science. EBSCO Curriculum Builder – Connect with University Library resources to assign books from the library's vast collection. View/Adopt Course Materials (Follett) – Assign books and materials and view listings and prices from the University Bookstore in iCollege. Online Tutoring with Smarthinking – iCollege integrated module instructors in partnership with Smarthinking. Learning Technology Evaluation Toolkit – Research new teaching and learning tools. Instructional Pilot Tools – Teaching and learning tools that are being explored and tested by instructors. Suggest a New Integration – Suggest and sponsor a new publisher integration for iCollege or Canvas. GSU is committed to protecting student privacy for students enrolled in all courses regardless of the mode of instruction (on-line, hybrid, or classroom). All University policies regarding student privacy and information apply to distance education courses.